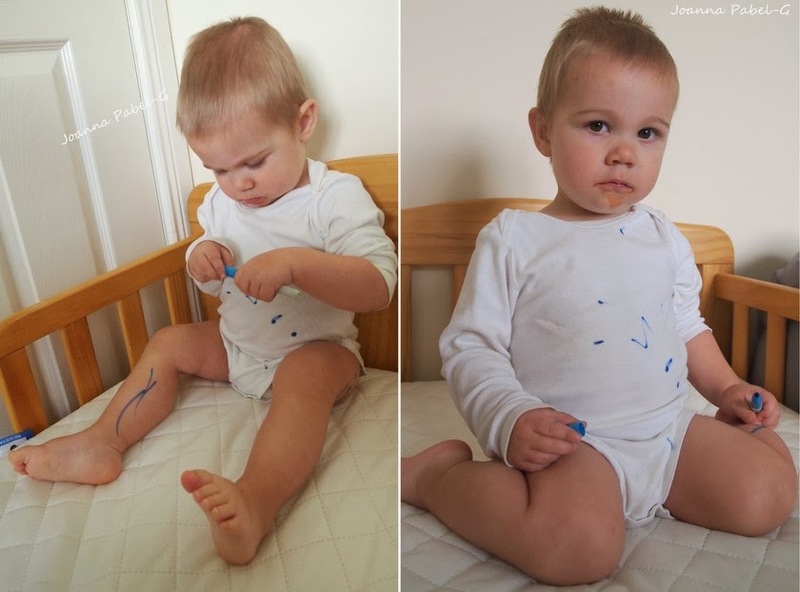 Be Creative Mummy / UK lifestyle Blog / Crafts: Let your kid to make own bodysuit. Let your kid to make own bodysuit. After the last play markers. Kai's bodysuit needed to continue in decorating ;-). My son had some time to paint disgust, he didn't like do it. Currently he loves to paint again and I gave him his bodysuit, which was already a little painted by him. He also used the paint to the fabric. He loved it, and I loved to watch my 1.5 year old child involved in painting. ...and here is his work. Then I guessed what son painted. 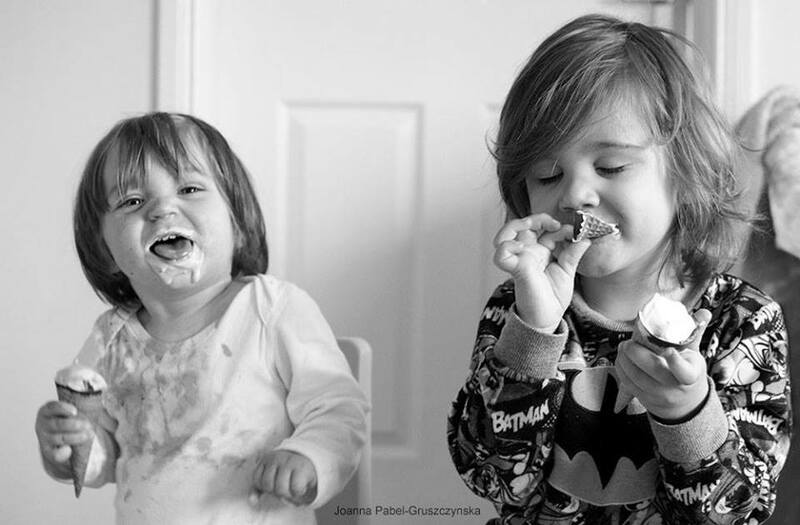 And here is the result of our work together. Do you like it?